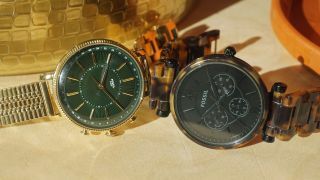 Fossil doesn't have any major smartwatches planned for Baselworld 2019, but the company has introduced four new hybrid designs that you'll be able to buy later this year. The Jacqueline and the Cameron both come in 36mm cases with 18mm lug width and will cost $175 (about £135, AU$250). We've yet to learn specific prices for the new Skagen Holst lines.